Caught this little bugger on the pool ladder recently. Hannah wanted to swim but she wouldn't get in. I heard her crying, so I went to check, and found this dude! It was pretty big and it stayed there long enough for a few shots. 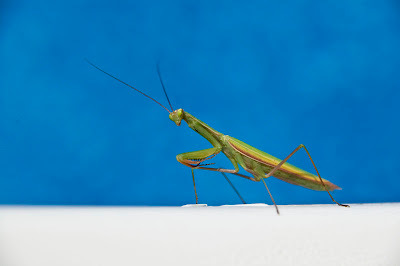 Info on Praying Mantis on Wikipedia.